Connor's note: For Doug's first post, please click here: "Paintball and the Economy". Free market capitalism is a pretty basic concept. It is defined by Wikipedia as “… a market in which there is no economic intervention and regulation by the state, except to uphold private contracts and the ownership of property". The basic idea is ….you don’t make deals knowing they are bad deals. The “self-interest” of the two parties involved in an exchange of money will protect them. The government just gets in the way. You hear a lot of politicians talk about it. Between the EPA, OSHA, the clean water act and a bazillion other government agencies, it’s a wonder anybody can ever make a dime doing anything. 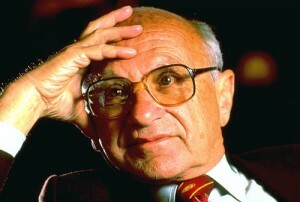 There was an economist called Milton Friedman who, more than anyone else, was the greatest proponent of Free Market Capitalism. Mr. Friedman taught at the University of Chicago and was without a doubt the most influential economist of the late 20th century. A buddy of mine and his wife both work in government circles in Washington DC. They both play paintball. I’m a big believer in making things as simple as possible (making paintball products will do that to you) so I asked them “As simply as possible…tell me how Washington works”. Without hesitation the wife says “You have a bunch of 30 year olds running around telling 60 year old politicians what to do”. The moral of that story is… governments (like economies) are extraordinarily complex. You can’t understand, much less know, it all. So when you hear a politician talking about economic theories like Free Market Capitalism, he probably knows about as much as I do... which is not much. For the purposes of this post, let’s confine ourselves to the American market. My foreign friends will forgive me … they all know I’m just a crazy gun toting American anyway. The reason I want to confine the post to America is because I am pretty sure that there is NO government regulation on the sport of paintball. “Do what !? !” you say. Well… I don’t know of one. Do you? Sure there are government regulations on cylinders, pressure hoses, and goggles, but they were in place long before the first paintball was ever fired. They had no effect on how the industry developed. Trust me, no paintball manufacturer went to a cylinder supplier and said “make me this” back in the 80s. They went to the manufacturer and said “do you have anything like this” because they couldn’t pay $50,000 to develop a new cylinder. There were a few legal battles that were fought with county and city governments over the right to play on a certain piece of property. But by and large the government, and especially the US federal government, has stayed out of paintball. Paintball is and certainly was, a Free Market. Paintball is not without regulation. They are all “self-imposed” regulations though. Maybe this is the “self-interest” part of Free Market Capitalism kicking in. The first thing we all agreed upon was 300 feet per second. So where did the “other” regulations come from? Well, paintball goggles came from ANSI. A guy named John Gregory who owned a motorcycle accessory company called JT Racing (and played paintball) was the first guy to build one. Most of the other regulations came from the paintball committee of ASTM. Mind you, they didn’t come looking for us, we went looking for them. There were a lot of good reasons for that. Standards are important. Take the standard for a paintball. All the gun manufacturers got together with the paint manufacturer back in the early 80s and agreed the standard paintball would be 0.6875 inches in diameter. Then a guy named Denny Tippmann came along and made a .62 caliber ball. It caused all sorts of confusion. For years. Nobody ever could agree on what velocity to shoot them. You would go to one field and it would be 350. The next 325. Some fields dealers stocked .62 caliber, some didn’t. It was mass confusion because Denny’s gun was fully automatic…..and everybody wanted one. What solved the problem was the invention of the 100 round hopper. .62 caliber might be fully automatic, but 100 rounds beat 20 rounds and it would shoot further. Besides, .62 caliber hurt just as much, if not more, and it didn’t break half the time. Remind you of anything recent? I could have saved the .50 caliber guys soooo much trouble if they had just asked. Well…actually they did ask. One of my last projects for corporate paintball was to do a feasibility study on .50 caliber. My recommendation to avoid it like the plague was ignored. One of the more interesting phenomenon of the free market was “field paint only”. You have to ask yourself how something like field paint only could ever come about in a free market. It’s not that difficult to understand, people lied. Back in the mid 90s I was the VP of National Paintball. Our arch rival was PMI (Pursuit Marketing Inc.). PMI was the industry leader. They convinced R.P Scherer to make a paintball exclusively for them. They also convinced Benjamin Sheridan to make paintball guns exclusively for them. More than anyone else, (other than Bob Gurnsey) they built the paintball industry. We (NPS) were making their life difficult and stealing market share with a wider selection of product and lower prices, but PMI had a huge advantage in that they had all the larger, more established clients. To protect those field clients (and I suspect at the urging of some of their larger ones) they began to promote the idea of “field paint only”. Players hated it. What sold the idea though was the phrase “the insurance company requires it”. Of course insurance companies did no such thing. One or two of them, who had a relationship with PMI or some of their fields, might have retro-actively inserted the clause in their policy. But most field owners who had insurance, did so through a local agent who could find an underwriter. The fields could hardly go to you, the customer, and say “We are field paint only because we want to make more profit”. The simple fact of the matter is, “field paint only” is a much more profitable business model, so fields starting using it. Free Market Capitalism is all about the Benjamins. And as Dr. House says “everybody lies”. Several other things happened about the same time. Wal-mart came in (see previous blog post), electro-pneumatic markers made their appearance, and the market got big enough to build a “stand alone” paint factory. 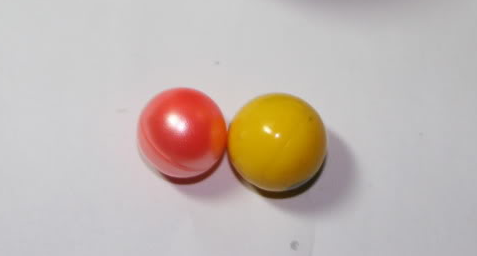 Up until that point, most of the paintballs sold had been made with pharmaceutical grade materials. The reason was the paintballs were made in pharmaceutical factories. The cleanliness standards needed to manufacture pharmaceuticals are very stringent for obvious reasons. Using cheaper, non-pharmaceutical grade materials in and of itself might not have made that much difference in the price of paint, but building a stand-alone facility did. Somehow, everybody got the same idea at the same time. One company even built a stand-alone facility capable of producing enough paintballs to supply the entire world market. Then the economics of supply and demand kicked in. The market swung from a seller’s market where if you had it, somebody would buy it, to a buyer’s market where if you would just buy a little more paint, you could get a much cheaper price. The Shocker and the Angel replaced the Auto-mag and the Auto-cocker. The Viewloader Revolution wouldn’t keep up any more and was replaced by HALO. 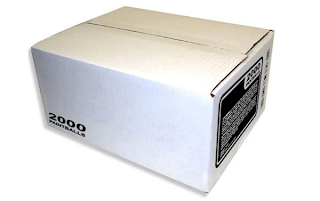 Paint cases went from 2500 rounds to 2000 rounds. There were even some 1800 round cases. Paint deals went from being negotiated at 0.1 cents to 0.05 cents. Big customers would leave you for a tenth of a cent. The sponsorship deal for a team who played out of a big field could be a deal breaker. I paid for plane tickets, gave pallets of product away, I even paved a road once to get a paint deal. But it wasn’t enough, the paint just kept coming, and the price kept dropping. Slowly but surely, the power shifted away from the distributors to the big field owners. If you had a field that moved 500 people a weekend through the gates, you were golden. If you moved 1000 per weekend, you were a god. I knew all was lost when one of the most anticipated new electronic guns was launched at an event where the paint came from a company whose only source of paint was calling around to all the paint manufacturers and buying seconds. 3 years earlier, seconds were thrown in the dumpster at the paint factory. Cheap paint had become... everything. Have I said anything about “the pros” yet? They of course had an impact. They were very much the tail wagging the dog. They refined the technology we gave them. They upped the level of the game. They created a form of paintball that brought millions of kids into the sport. And there was no doubt that they were the best players in the world. Some were nothing short of phenomenal. But just like their masters, enough was never enough, so they lied and they cheated too. And we put them in all the magazines and told the world… this is what we want you to be. But you can’t really blame the pros. They were just looking out for their “self-interest”. If they spilled a couple of dozen paintballs every time they reloaded, it was because that is what it took to win. Besides, it was free. If they used a competitor’s paint because it was better than their sponsor’s paint, that’s because that’s what it took to win.“Hey ! We put the paint in your box.“ If they jumped from team, to team, to team, looking for more money, well… that’s what professional athletes do. I was in some endless meeting about a year into my corporate paintball career and instead of playing BS Bingo I did some mental calculations on how much money was being spent to sponsor professional teams. I came up with a conservative estimate of about $6 million a year. In economic terms that is either called a hidden tax or wealth re-distribution. Your average everyday Joe paid the tax when he bought a case of paint and wealth re-distribution can work both ways… despite what rich people these days would have you think. I just called it stupid. I was in the business of getting people to play paintball and sell them product. “The pros” were in the business of getting people to sit at home and watch them play on TV. I wrote the check that put paintball on ESPN II. I knew what the return on investment was. So what went wrong? How did Free Market Capitalism fail? Well… it fails all the time (can you tell I liked Reagan? For you kids… Reagan started every sentence with "…Well…"). Have you ever watched The Deadliest Catch ? Ever wonder why they measure crab and have such a short season? Here’s the answer. There are hundreds more. The idea that man will regulate himself when there is an advantage to be gained is asinine. 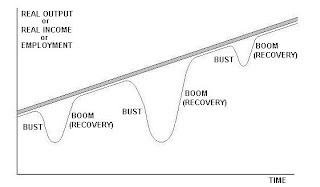 As long as he can afford to maintain the advantage, he will….until the market collapses. 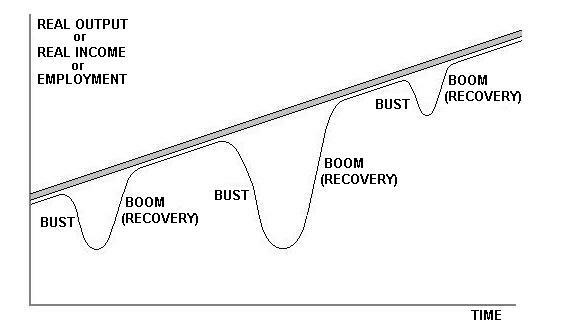 If you want to accept that the best we can do is have a never ending series of market collapses, better known as the boom/bust cycle… then Free Market Capitalism is the way to go. The solution for paintball is more regulation. I’ll get to the real economy in the next post. I did notice from the comments to my previous post that some of you have missed paintball’s newest self-imposed regulation. The ASTM paintball committee has adopted the standard for paintball markers that 15 balls per second is the maximum rate of fire. It’s not a bad regulation. Rates of fire had gotten out of hand. I knew people who were working on 60 bps. That really would have been insane. But 15bps doesn’t solve the problem. Make that, it hasn’t solved the problem. The 15 bps standard is over a year old now. The PSP even had a 12.5 bps rule last year. You do remember what the problem was don’t you?